Grateful Crane Ensemble presented “Growing Up Sansei,” a play reading and community dialogue, on Oct. 27 at the Gardena Valley Japanese Cultural Institute. 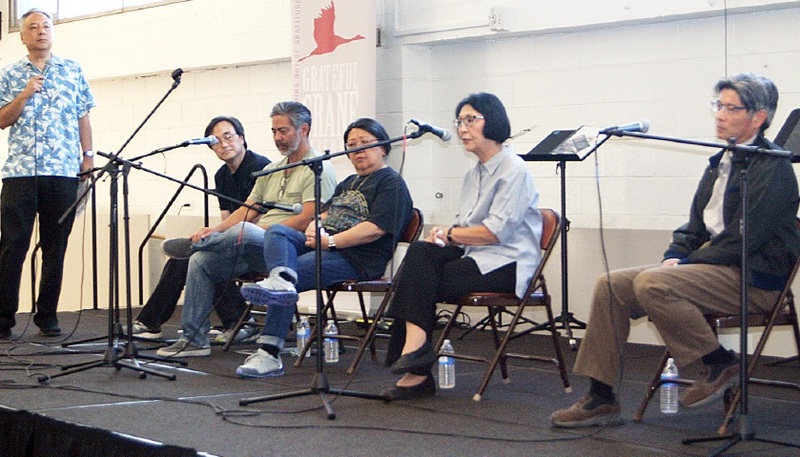 Pictured above, from left: Soji Kashiwagi, playwright; Ping Wu, stage directions; Kurt Kuniyoshi, Haruye Ioka, Dian Kobayashi and Shaun Shimoda, cast members. The scheduled speaker, Sacramento psychotherapist Satsuki Ina, was unable to attend, so Kashiwagi led a discussion with the cast and Q&A with the audience. Many Sansei have said that the Nisei characters reminded them of their own parents. 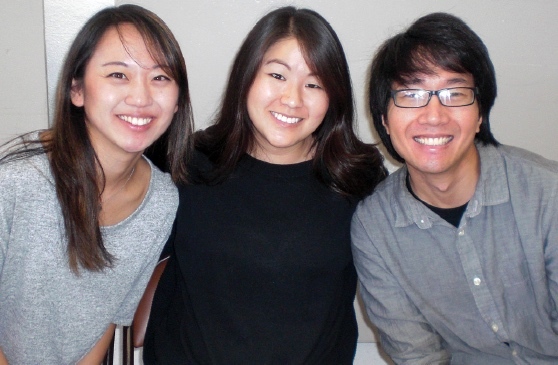 Grateful Crane’s Yonsei acappella group, Grateful 4, opened the program with two “golden oldies,” “The Sound of Silence” and “Hurting Each Other.” Pictured below: Lisa Horikawa, Emily Yoshihara and Michael Murata. They were joined by Helen Ota, filling in for Aimee Machida.